Jeff Peabody, an '89 Biola Communications graduate, wrote the lyrics for the 2007 American Idol songwriting contest winning entry, "This Is My Now." Over 25,000 song entries were submitted as part of the contest and the song was announced as the winner on national television on Tuesday, May 22. Peabody was introduced alongside his writing partner, Scott Krippayne at the Kodak Theater in Hollywood and Idol finalists, Blake Lewis and Jordin Sparks sang the award-winning song. Already available for downloading on AmericanIdol.com, Peabody was quoted in the L.A. Times saying, "I can't wait to download my own song off iTunes!" Peabody was the winner of Outstanding Communication Student of the Year at Biola in 1989. As an undergraduate at Biola, he and his wife, Karin, were active members of the Biola Forensics Team, performing in award winning readers' theatre productions and qualifying for national tournaments in various individual events. Currently, Peabody is a pastor at New Day Church in Washington state. 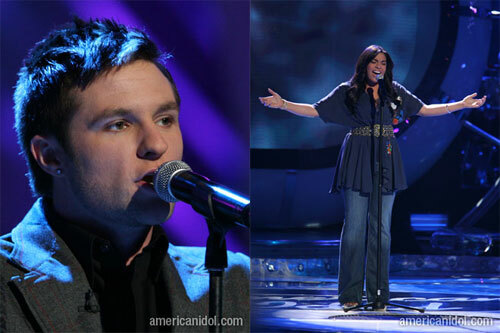 Listen to Blake Lewis and Jordin Sparks, the idol finalists, perform Peabody's song "This Is My Now."